The Groveport Madison community celebrated the dedication of their new High School on August 29, 2018 as they toured the 240,000-square-foot building. Throughout the building, Farnham Equipment Company provided and installed featured products of both Stevens Industries and Hussey Seating Company. 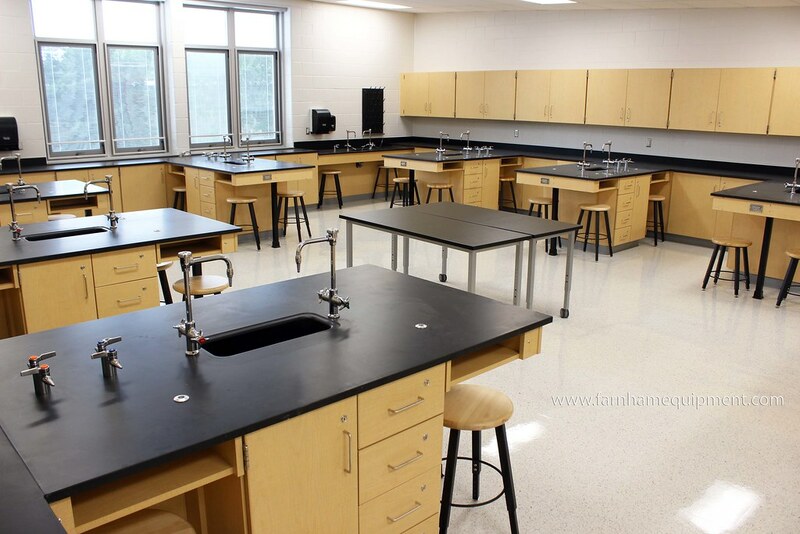 From science labs to vocal rooms to administrative areas and typical classrooms, Stevens Industries Casework in traditional Fusion Maple with 5-Knuckle Nickel hinges and Bentwire Pull Nickel pulls were installed. Additionally, millwork panels were installed in the lobby area and locker side panels are seen in each corridor. Fixed desks were also provided by Stevens in the multipurpose room. Two connected gymnasiums house arena style telescopic seating provided by Hussey Seating Company. 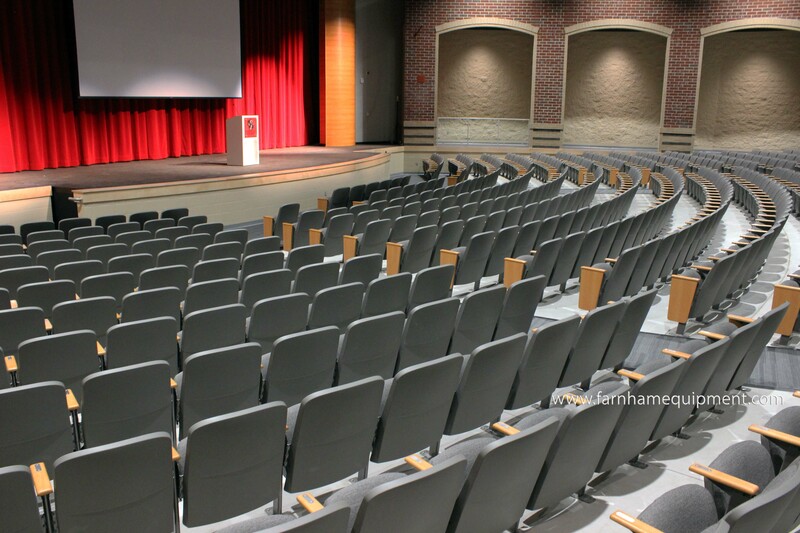 The district took advantage of the whole package offered by Hussey with Xtreme Logo Graphics, Custom End Curtains, Media Platforms, and Auto-Rotating Aisle Rails. Five wall attached and one reverse fold bleacher, the district has a capacity to seat 1748. The auditorium is ready for the next production, assembly, and concert with a cascade layout of Quattro Traditional Series Seating in their state of the art auditorium. Chairs feature a soft square back with a polymer outer panel in titanium and waterfall inner panel with Black Marble material from the Shire fabric line. Seats are standard 3-inch foam waterfall design. Wood armrests feature donor plates honoring businesses, alumni and students. There are a total of 600 seats with eight wheelchair locations and 6 ADA locations. It was a pleasure collaborating with the team on this project and a special thank you to Smoot Construction for your hospitality as we toured the building for photos.